Virtual assistants (typically abbreviated to VA) are self-employed, independent contractors who provide professional administrative assistance to multiple clients remotely from a home office. Since you only hire a VA when you need them, it is a great money and time saver for you; they can take care of a lot of tasks that are time consuming for you, leaving you free to focus on your business or your personal life. Most services are handled virtually for clients anywhere in the world. In-person services are also available in the San Francisco Bay area. In-depth online and telephone research—This is a frequent request! 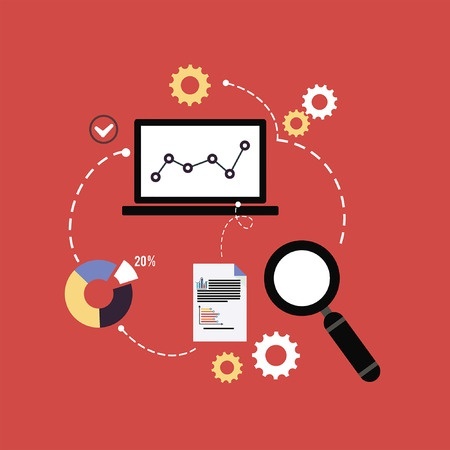 Once a problem is identified, Lucy will do the research to determine the best options to solve the problem, find a resolution, or make a decision. Basic bookkeeping/Financial data entry—Quicken & Quickbooks (online) for PC’s. Reconciling accounts. Resume/Linkedin Updating: Reviewing, enhancing your profile, updating & proofreading. This is another frequent request handled by Lucy. Accountability—I help you keep on track and on time. Just call Lucy your friendly nudge! Lots of requests for this service! Networking/Referrals:—Do you need a graphic designer? A handyman? Another type of service provider? Lucy can connect you up. This is another frequent request handled by Lucy. Event planning and coordination—Venue finding & confirmation/collating attendees & documents/on-site support. Proofreading—Lucy has a special talent for spotting typos and misspellings. It’s easy to run things by her before sending it out to a client. Travel research and reservations—Arrange your travel plans for both business and pleasure. Project management for small projects—Lucy excels at logistics, planning, and keeping projects on schedule. Includes event management too. Thank Yous—Provide customer service “thank you” calls or send out thank you cards to prospects, clients, vendors, etc. Personal Assistant—(San Francisco Bay area clients only) Help with organizing or downsizing an office, house, kitchen, storage space, lifestyle management tasks, etc. This is another frequent request handled by Lucy. Human resources tasks—Help with hiring employees by posting job descriptions, setting up interviews, coordinating all the details. Challenge me! If you don’t see your need listed above, just ask. My hourly rate ranges from $45-$55 for most short-term projects. Customized weekly and monthly retainer packages are available for longer term or recurring projects. House calls are available if you are in the East Bay and can be reserved in blocks of 3 hours (that’s the minimum) or longer. Any remote work completed has a minimum of 15 minutes. Retainer packages can be bought in 10, 20, or 30 hour increments, etc. as a one time or on a recurring basis. By buying a package, you get top priority of my time. You also know exactly what you are spending for the time period as payments are all prepaid. I will invoice you, and once payment has been completed, your time will be booked into my schedule. Contact Lucy to book a free 15-minute consultation to discuss which form of pricing package is best for your project. Billing is done once a month for retainer package clients only, and payment is expected within 5 business days; via check, bank transfers, or Paypal. Hourly clients are expected to pay at time of service. I have a 24 hour cancellation policy, and you are charged $45 for any appointment canceled with less than 24 hours notice. Contact me for more information and to discuss the best plan for your needs. 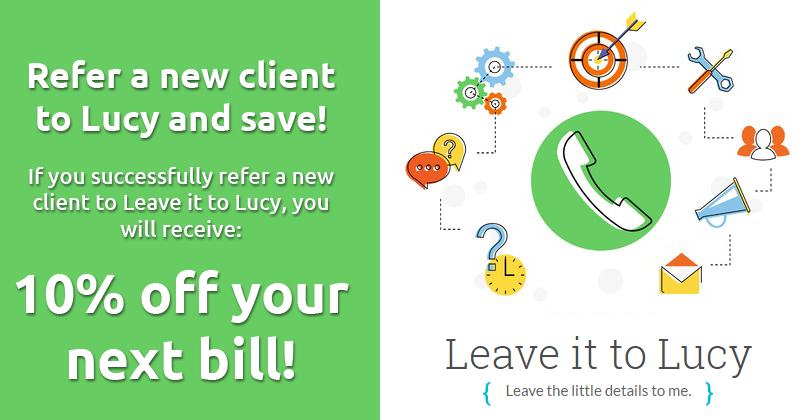 If you successfully refer a new client to me, you will receive 10% off your next bill. I also offer gift certificates for most of my services. Contact me for more information.